Mobile Muscle Therapy has compiled a list of the most commonly-asked physiotherapy related questions with full answers – please click on the question that covers your query. We hope to answer any questions you might have here, however if you can’t find the answer to your question please contact Steve who will be able to answer any queries you have. Steve is a member of the Federation of Holistic Therapists (Member no. 136388) and is a member of the Complementary and Natural Healthcare Council (CNHC), a regulatory body in the United Kingdom which provides a voluntary register of complementary, rather than alternative medicine, therapists. The key purpose of CNHC is to act in the public interest and enable proper public accountability of the complementary therapists that it registers. Your first appointment which is your assesement / consultation will take up 45-60 minutes. Most follow up appointments last about 45 minutes and will depend on what your treatment plan requires. You can discuss any concerns about timings with Steve before you make an appointment. Will I get treatment during my first appointment? Your first session is to discuss and assess your problem – it will involve a full assessment and recommendations for treatment will be made. You should wear loose, comfortable clothing – ideally a t-shirt, shorts and trainers, due the need to visually assess you in terms of movement and posture. You may be asked to undress to your underwear – to accurately examine you we will need to see the affected area and often the joints above and below. How many appointments am I likely to need? Each and every client and treatment plan is different. Some clients respond quicker to treatment than others. During your initial assesment Steve will discuss your diagnosis, prognosis and the best treatment plan. Steve will discuss the number of treatments he think would be necessary, however if you improve quicker the number of treatments can be reduced accordingly. Mobile Muscle Therapy will also provide a home exercise regime and strongly encourage self management – maintaining this regime will help recovery. How long will I wait to get an appointment? Mobile Muscle Therapy will do it’s best to see you as soon as possible, our appointment times are very flexible so we hope to see you within 48hrs. Can I phone with queries? If you are paying for your own treatment and contacted Mobile Muscle Therapy directly then you do not need to see your GP first. If you want to use your private medical insurance you may require a GP’s referral – this will depend on your individual insurer’s requirements. Please check with your insurance company before making your appointment. Mobile Muscle Therapy can provide invoice, receipts and a printed letter to confirm the course of treatment. Before making an appointment please check your excess and limits, terms and conditions with your medical insurers. In the event of the medical insurance company refusing payment you will be liable for charges. I have had a car accident – can my treatment be paid for by my car insurance company? Please contact your insurance company and ask them to contact Mobil Muscle Therapy directly – insurers requirements and terms vary, by speaking directly to them we can ascertain if we can offer treatment to you. 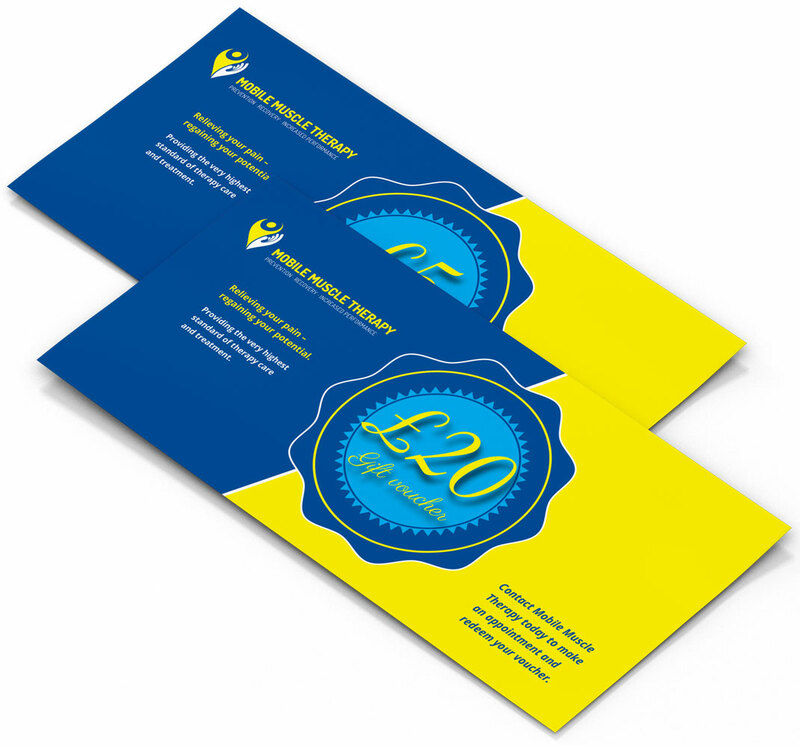 I like the idea of MMT gift vouchers – how do I order them? Mobile Muscle Therapy accepts cash, cheques and is able to take payment via electronic transfer – speak to Steve who will be able to help & advise.